Description Sen. Von Reichbauer switched parties February 14, 1981, changing party control of the Senate from a 25-24 Democratic majority to a 25-24 Republican majority. 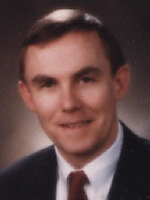 30th district Democrats mounted an unsuccessful recall effort afterwards, and Von Reichbauer was reelected as a Republican in 1982, 1986, and 1990.